I finished these last night. I don’t like sewing much so I was worried I try to ignore them once the knitting was done. I was more motivated to finish them off knowing they are for my sister. I was really happy to find these great buttons at Lens Mill. 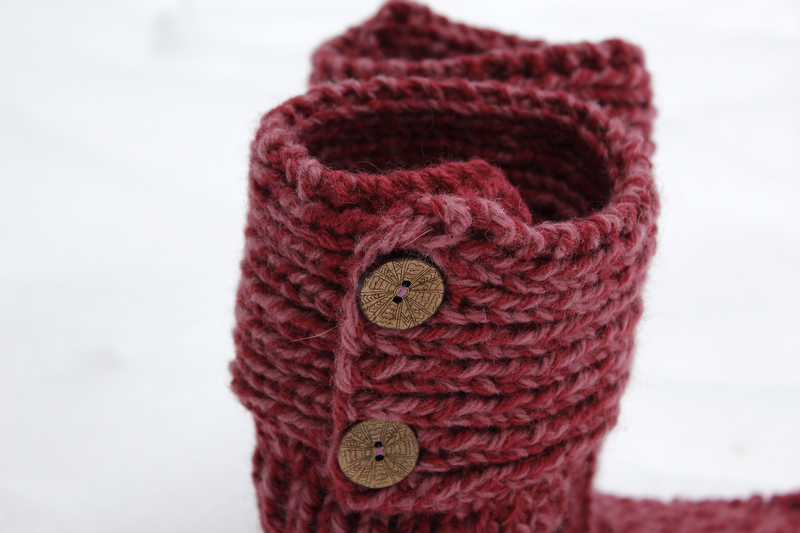 My next project is to knit Little Red Riding Slippers. However mine aren’t going to be red because I’m using yarn from my stash.